There are lots of opportunities to get plugged into the wider life of St Aidan’s. Pastoral care is the ministry of caring and giving provided by pastors and other parish leaders to members of the congregation with a focus on healing, reconciling, guiding and sustaining. Listed below are some of the ways our team provides pastoral care. Do you know of someone who is on bed rest, can no longer make it to church or just needs a friendly phone call? Ask them if they would like someone from our pastoral care team to give them a buzz..
An important part of pastoral care at St Aidan’s is home visiting. This is done both by staff and a small team of parishioners. Sometimes this is to serve communion, other times it is to offer a listening ear to a valued friend and usually it involves a cup of tea! 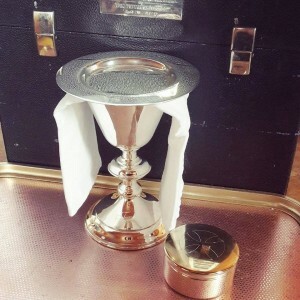 If you would like to received home communion or would value a visit – or you would like to be part of the team which offers this very important parish ministry, please contact us. Would you like to be visited in hospital or at home? Please speak to the clergy or contact the office if you would welcome a visit (You can print the Pastoral Care Form, complete it and email or return to us). St Aidan’s has a frozen meal ministry to help parishioners and our wider community in times of need with a meal or two, or some baking. We have aluminum food boxes to store a main meal in such as a pasta, rice or meat dish. Ice cream containers can be used for baking such as muffins or a slice. 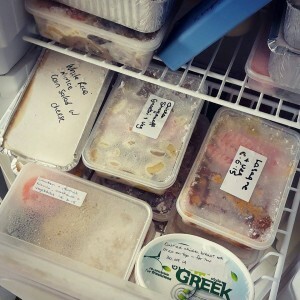 Can you help keep our freezer well stocked? If so, thank you for your support for this ministry. Our prayer circle offers pastoral care, through prayer support, for those with specific needs. There is no need for anything more than the name; if you wish to say more, the briefer the better (e.g. health/relational/anxiety) but we really do prefer to pray for the person holistically, knowing that God alone understands all our needs. You can print these forms, complete them and either email them to office@staidans.co.nz or come in and drop them off. The office also holds hard copies of them all. Would you like to join our Pastoral Care Team? We would love to hear from you. If you would like to know more, please get fill out the form below or contact Anne Mercer (09 520 2861) or Marie Taylor (09 524 8642).